Explore research-based steps and strategies you can use to increase the effectiveness of collaborative teams and enhance professional learning communities. Discover a practical, comprehensive model of effective professional learning communities. In this user-friendly guide, educators explore research-based steps and strategies they can use to increase the effectiveness of collaborative teams and enhance PLCs. Examine how the PLC process can transform critical components of educationincluding curriculum, assessment, instruction, and teacher developmentand use reproducible agendas, scales, and checklists to improve schoolwide practices. Gain a model of effective instruction and strategies for direct instruction. Explore resources for collaborative teams to use as they have honest and challenging discussions, set and monitor norms, and focus on the right work. Chart progress and transformation with self-evaluation surveys. 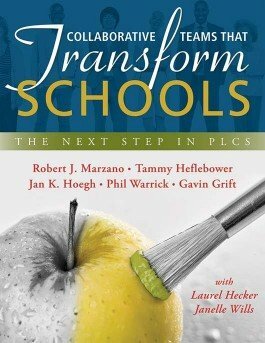 Study vignettes that depict how real schools have successfully implemented the strategies outlined in each chapter. Answer comprehension questions to review each chapters main points.